On December 12, 2016, Galloway Twp. Police were dispatched to the Highlander Motel, located at 304 E. White Horse Pike, for the report of an armed robbery. Initial investigation revealed that the victim had been bound with Duct Tape and held at gunpoint in a motel room. 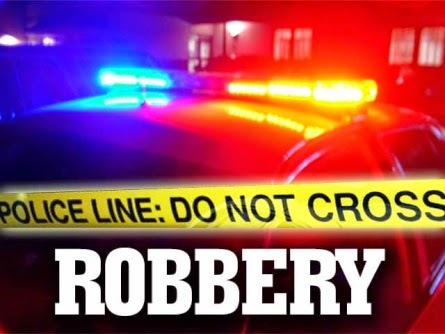 The male suspect robbed the victim of $250.00 prior to fleeing eastbound on the White Horse Pike. During the course of the investigation the suspect was identified as Joshua Holmes, 23 of Piscataway. With the assistance of Piscataway Police, Joshua Holmes was taken into custody on December 29, 2016, while in possession of a firearm. Assisting in the investigation was D/Sgt. Ryan Goehringer #67 and Ptl. Christian Magazzu #97 of the Galloway Twp. Police Department. Joshua Holmes was formally charged with four offenses; Robbery, Criminal Restraint, Possession of a Weapon and Possession of a Weapon for Unlawful Purpose. Judge Freed set bail on Joshua Holmes at $250,000 full cash. Joshua was remanded to the Atlantic County Justice Facility in default of bail.